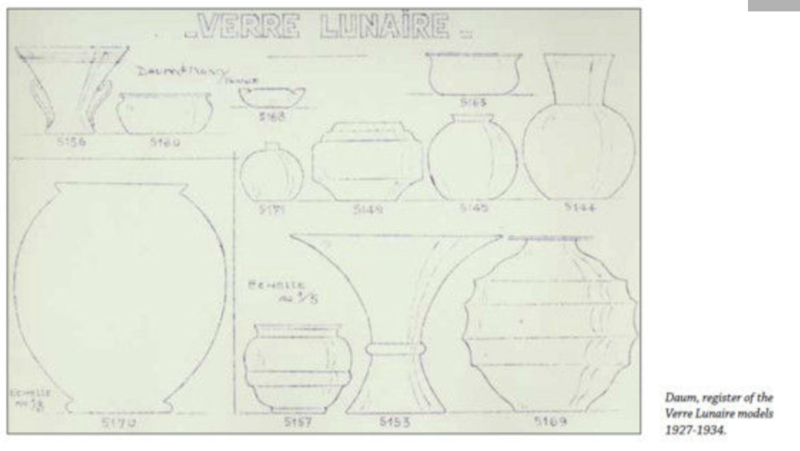 This blue Daum vase belongs to the Lunaire line, see nr 5149 on the register paper. It was made between 1927-1934. In that period Daum experimented with lots of new models to see which ones would be popular and which ones not. 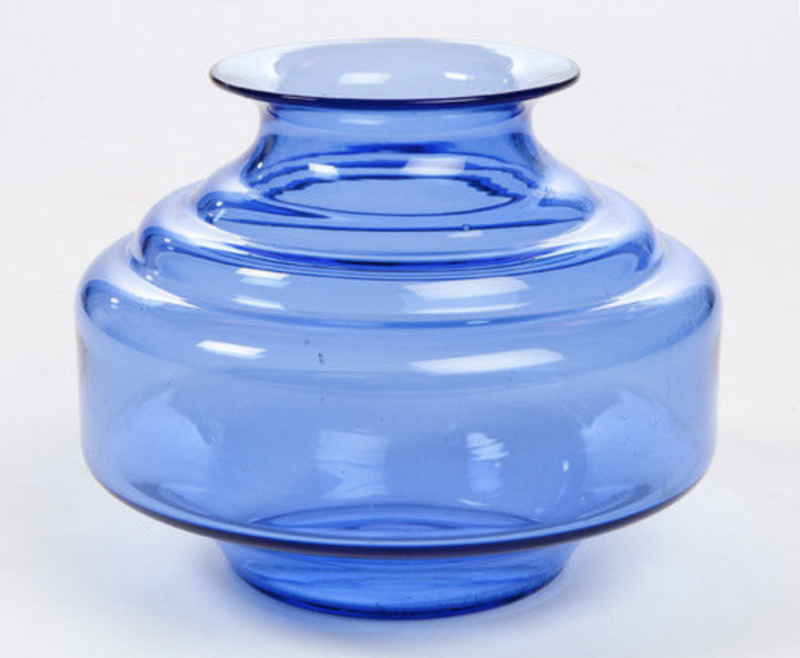 This vase has a beautiful color which is rare and a beautiful harmonious shape.